The idea was first proposed by jdcarpe @ geekhack. 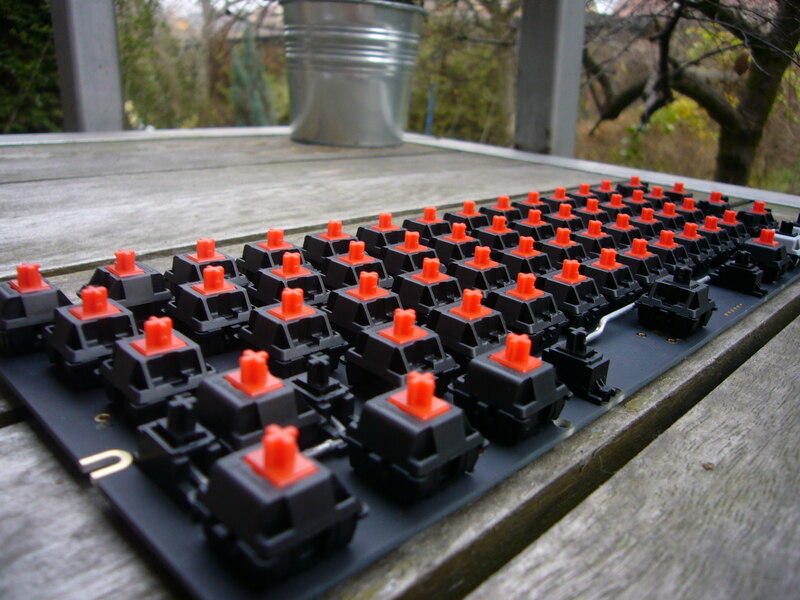 It was to design a portable, fully programmable mechanical keyboard, which fits cases available in the mechanical keyboard market. 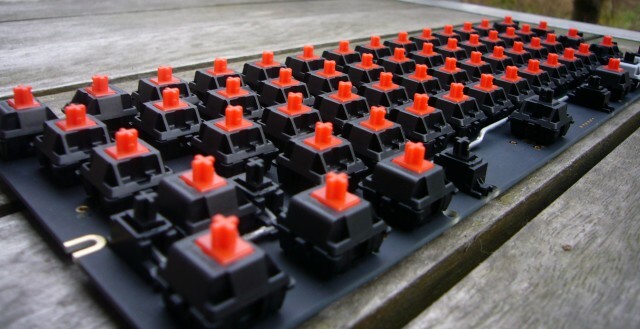 support for both PCB- and plate-mounted Cherry MX switches. The GH60 is not a complete keyboard for an end-user, but a so-called custom keyboard, which means that its users will only get the PCB populated with all the SMD components, but will have to solder the switches themselves. A switch assembly service will be provided and two custom aluminum cases are already being designed by other geekhack members WildFireDragon and The_Beast. After a long discussion and getting a number of propositions concerning the available layouts, I got down to designing the first revision of the PCB. The revision A includes support for a few layouts by providing a non-configurable base set of keys along with 4 configurable clusters. In each of the clusters the keys can be arranged in 2 or more ways to fit the user's needs. lysol's layout - an interesting idea proposed by lysol @ geekhack - two 1½-unit modifiers, 7-unit spacebar, and 1½-1-1-1½ modifier layout to the right from spacebar. The key names, like enter or fn are for illustrative purposes only, since they can be assigned arbitrary functions. In the final version I'm also considering adding an option to split the backspace into two 1-unit keys. The prototype was produced with the help of 16 people who decided to buy the PCB and test it. I had the revision A of the PCB made with black matte soldermask and gold-plating. other minor dimension problems: some holes are too close to the edges, the USB connector is slightly off-center. We are currently ending the testing phase. The first round groupbuy will start shortly. Except for the fully assembled PCB we are going to have a number of stainless steel plate layouts made and possibly an aluminum case. There is also a repository with all the CAD files. You can read more about the project on the GH60 project page. Previous PostUsing Atmel's DFU Bootloader ABI on ATMega32U4 in avr-gccNext PostLogged in through ssh? I can't open (import) cad file with Altium Designer Summer 09, what is cad software you use? It was made in a recent build of kicad.